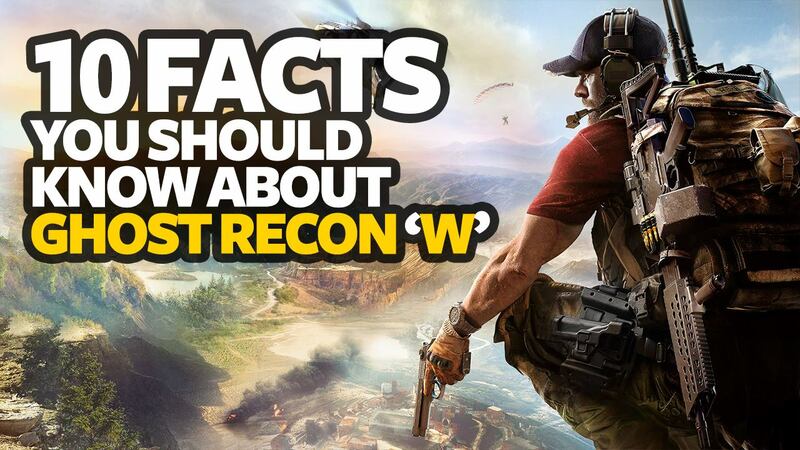 Ghost Recon: Wildlands is about to release next month in first week worldwide for PC, PS4 and Xbox One, so it’s time to outline 10 interesting facts that should know about the most awaited open world game from Ubisoft camp, Ghost Recon: Wildlands. Ghost Recon: Wildlands sets in Bolivia, for those who don’t know Bolivia, it’s a small country in central South America with approximately 3500 Miles and a population of more than 10 million. The Players will play as a member of the ghost, a fictional elite team in the United States Army to eliminate targets in Bolivia. Unlike all those old games in the Ghost Recon series, Ghost Recon: Wildlands will not be a formal futuristic game with futuristic soldiers and weapons, rather than the game is set in modern day life, same like the original Ghost Recon. The game will have modern life weapons and more realistic fights. You will find weapons using by military these days. As I mentioned earlier that Ghost Recon: Wildlands set in Bolivia, which is Ubisoft developers worked with the Bolivian Army for research and the team almost spent a week on the ground with elite units of the army, witnessing real life first-hand burning of cocaine labs and more. 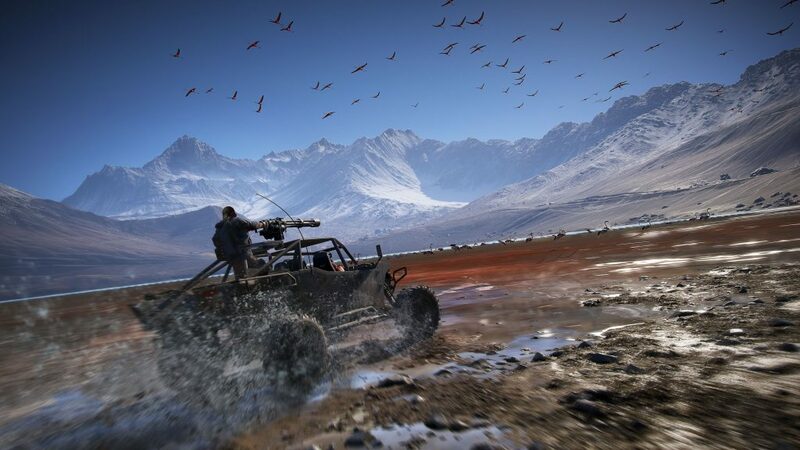 We have many games on the hand for which the developers did lots of research to make as much realistic as they can, but for Ghost Recon: Wildlands Ubisoft Devs went too far, as they went to Bolivia and had time with elite units, drug enforcement officers and also some real life smugglers to gather valuable information. For Ghost Recon: Wildlands, the team did training exercises with special forces in special operations, and they even went to CIA Headquarters for advice from officers on working in South America. Ghost Recon: Wildlands is the first game in the series to be a massive open world game. In total there are 9 different types of terrains which includes jungle mountains and deserts. Ubisoft claimed that Ghost Recon: Wildlands is the largest open world game they have ever created so far. We have played lots of games since we born and from then until now we have seen lots of games with dynamic day and night cycles, right? But what’s extra in the game? Well, Ghost Recon: Wildlands feature dynamic day and night cycles, but that whole system has an influence on player mission approach, if you are going to any mission with heavy infantry then night is your best option to sneak in and get the job done. Ghost Recon: Wildlands features lot of main and side missions, but what makes this game unique is that you can build friendly or hostile relationships with NPC’s such as citizens or rebels, but to interact in this way needs a level of strategy, because these relations will impact on the game world and how player complete the task. Citizens inside Ghost Recon: Wildlands has their own lifestyle, they will react to your actions, you can build friendly or bad relationships with them, but the most important part is they will continue living in their own manner, even if you are playing the game or not. Ubisoft tries to create ever flowing world where things keep running even if you are there or not, so every player will experience the unique taste while playing Ghost Recon: Wildlands. Ghost Recon: Wildlands feature Co-Op like all other games, but the unique thing here is that it’s somewhat compulsory to do missions in co-op mode, if you have friends to play with then that will be fun, but if you don’t have friends or internet connection then 3 random AI Bots will be with you along side the mission. We have seen lots of games where the protagonist gets into the fight scene and kill everyone while not getting hurt, but this time Ubisoft went too far to put ultra realism in Ghost Recon: Wildlands that you can’t go into the scene like a hero. You will have to complete the task while being in the team and everyone would have a specific task to complete. So these were the 10 facts about Ghost Recon: Wildlands that you already know now. Ghost Recon: Wildlands comes out on March 7, 2017 on PS4, Xbox One & PC. Do tell us in the comment section below, what do you think about the game.